Q. How do I download programs from the network? 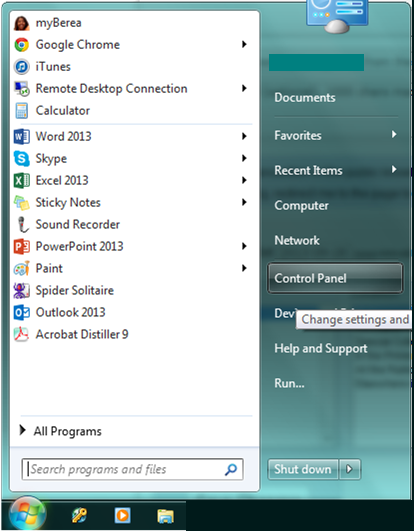 Go to the start menu and double-click on the Control Panel. See Image Below. 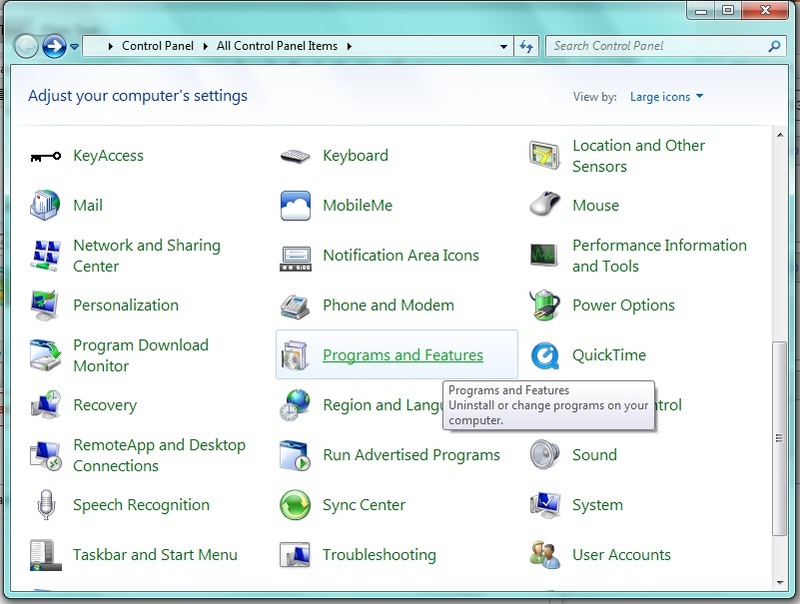 Choose "Programs and Features." This should be organized alphabetically. From here click on "Install a program from the network." This is highlighted in yellow in the image below. 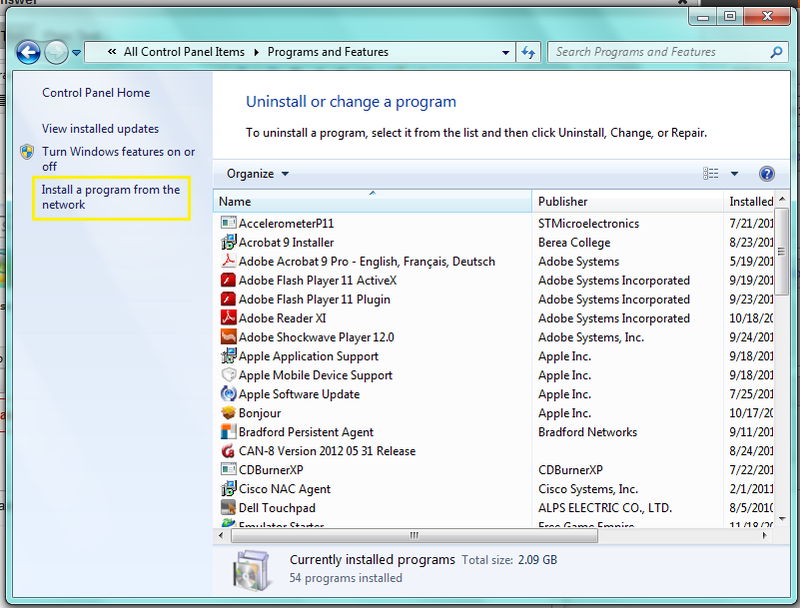 Choose the program that you wish to download from the list provided. If you have any questions, please seek help from the Technical Resource Center, ext. 3343 and e-mail help_desk@berea.edu. There website link is below.